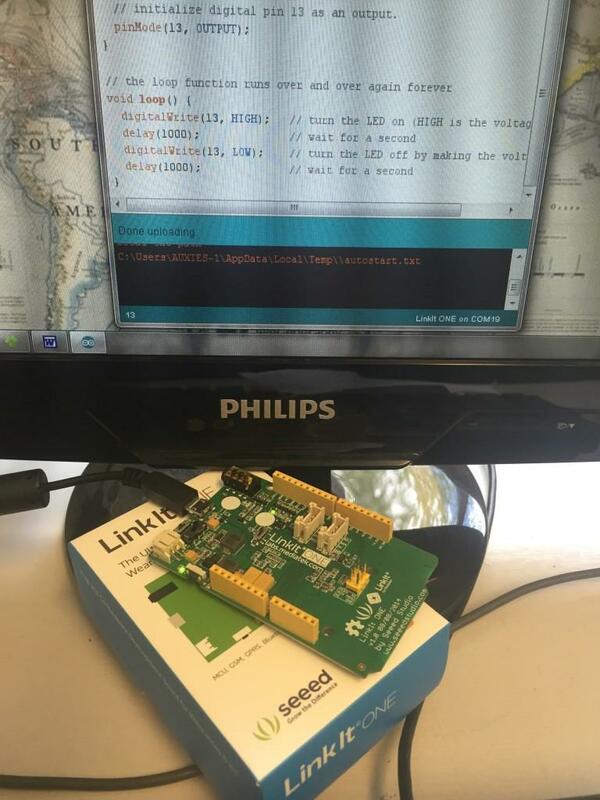 Download the MediaTek LinkIt SDK for Arduino Windows. The last screen will ask you if you want to install The MediaTek USB drivers. Select yes and then continue. I found that the drivers in part 4 didn’t install correctly so grabbed the drivers from the Seed Studio IDE GitHub (Mirror Windows LinkIt ONE Drivers) and installed them again using that! MS: The program will not run in this mode, when you connect LinkIt ONE to your PC, you will find a 10M size usb-disk, you can put some file to it, and read it out via the code. Now if you open Arduino IDE, you should be able to select the LinkIT ONE as a board, and two serial ports. Select the lowest numbered one. Now to go back to the Mac, and see why I can’t get the uploading to work in the Arduino IDE.